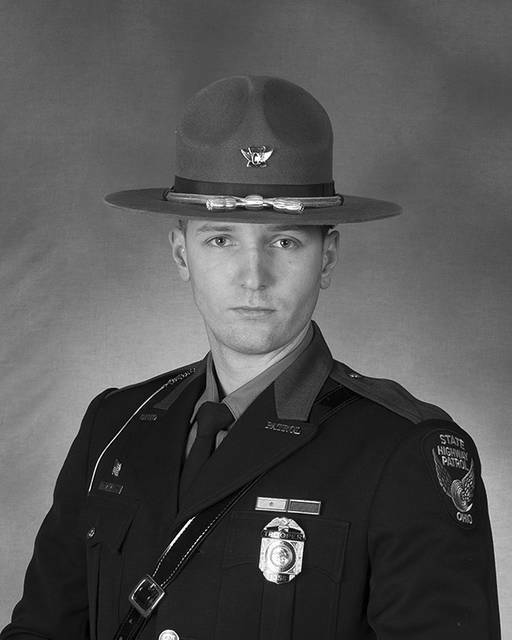 Nicholas L. Palmer, 30, has been selected as the 2018 Ohio State Highway Patrol Trooper of the Year at the Swanton post. The selection of Palmer is in recognition of outstanding service during 2018 at the Swanton Post. Fellow officers stationed at the Swanton Post chose Trooper Palmer based on leadership abilities, professional ethics, courteous treatment of others, enthusiastic work attitude, and cooperation with supervisors, peers, and the public. Palmer is now in contention for the District and State Trooper of the Year Award to be announced at a later date. Palmer joined the patrol in 2012 and has served at the Swanton Post for six years. Originally from Bowling Green, he is a graduate of Bowling Green High School and the Bowling Green State University Criminal Justice Program.